The Cell aims to provide employment opportunities and Professional training to the students. Moulding the students in order to meet corporate expectations. 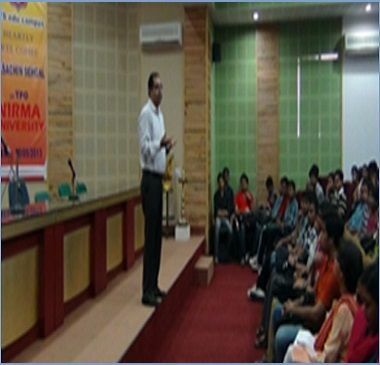 Creating awareness regarding available career. Highest Package offered to Pharmacy student was 3.0 Lacs per annum by Alembic Pharmaceuticals Ltd.
“We take extreme pleasure in getting associated with BITS for hiring your students as Interns and Trainee in our company. We truly appreciate your efforts to set up an exclusive placement cell to benefit both your students and us as an industry. “Special thanks to the Principal and Trustees of the Institute who work hard in nurturing the Young Talents from all prospects of life. 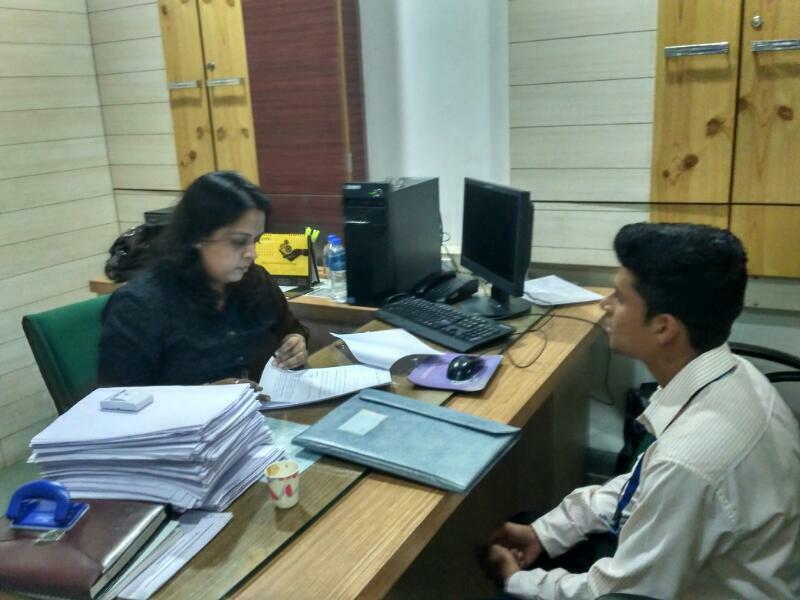 “On behalf of Polycab Wires Pvt Ltd, We would like to appreciate the performance of the students we have hired as a part of Campus drives from BITS Edu Campus since last 3 years. The students we have hired from BITS are found to be highly enthusiastic, hardworking and innovative. This represents the quality education and values inculcated in the students by the institute. Mr. Sapan Shah, Assistant General Manager- HR, Polycab Wires Pvt. Ltd. 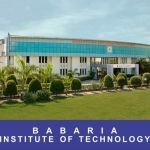 I feel great studying at Babaria Institute of Technology. I am thankful to Training & Placement Cell for effectively & sincerely helping me to grab first ever opportunity that came into my life. Placed in MEP Infrastructure Ltd. I am very grateful to Training & Placement Cell. I got all the Support & Guidance from TPO & Faculties. Comprehensive Training Sessions provided by T&P Cell which really very helped me to secure my placement in MEP Infrastructure and this opportunity means a lot. I am eager to work with them. At infostretch as a trainee I got a lot of exposure and lot of new things to learn and the members at the company have been always helpful in every way possible. 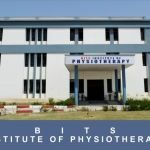 Training and Placement Cell of BITS Edu Campus has help me groom myself as an individual and given me best opportunities to enter the corporate sector. Getting placed with Infostretch Pvt. Ltd. was one such opportunity. Placed in Infostretch Pvt. Ltd.
the industry-academia gap for me and has given a very excellent experience. TNP cell gave a perfect platform for me to start my career and supported me by all means. Working here with Simform Solutions is a great learning experience with a very healthy work environment. 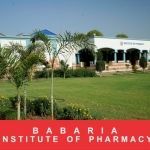 The training and placement department of Babaria Institute continuously provided assistance regarding the ongoing placements. Also the training and placement faculty as well as coordinators helped and encouraged me to find and grab such wonderful opportunities that helped me to define my career path. 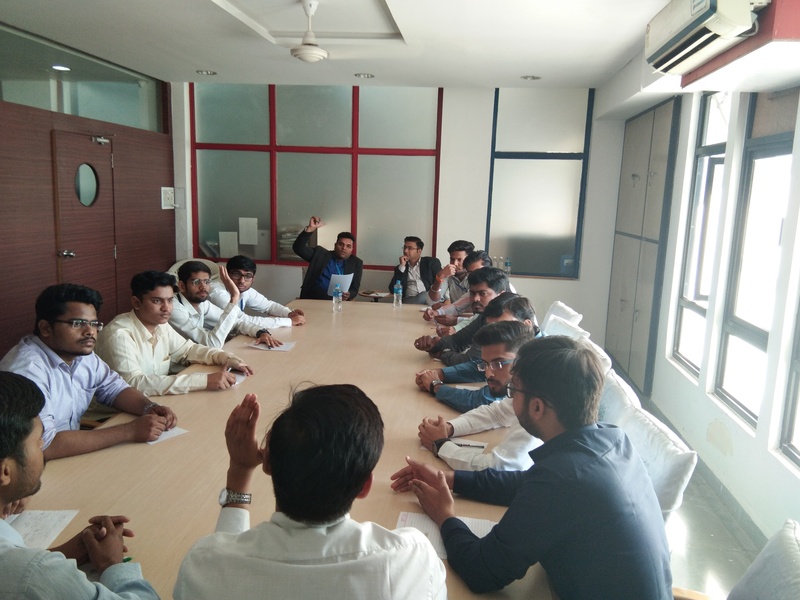 We have received proper training for all Aptitude Tests, Technical and General Mathematical Training, Group Discussions as a preparation of cracking any interviews. 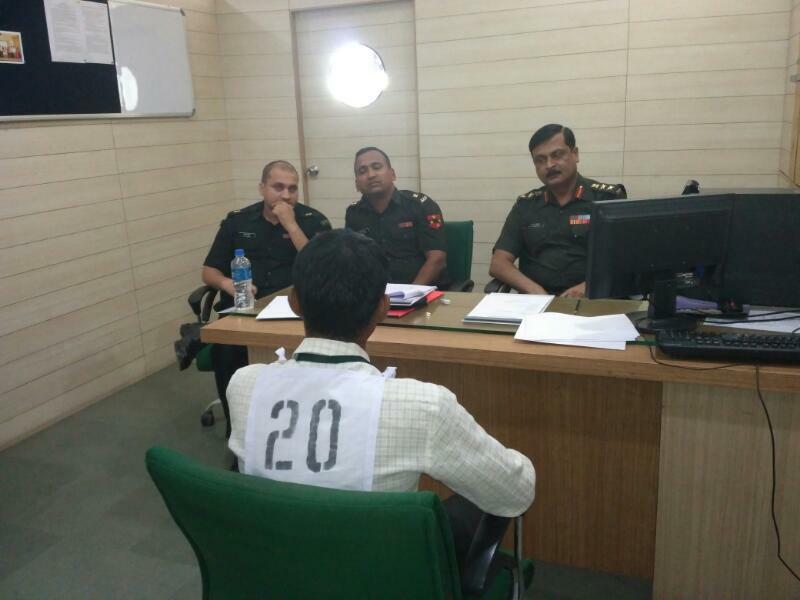 They have also taken prior tests as Professional level Aptitude, which helped in boosting our confidence for clearing the exams of any organizations. T&P is providing many chances to work with great companies and MNC’s which comes in BITS for placement. As a Training & Placement coordinator I have got exposure in the market to get in touch with great companies and coordinating the same with my batchmates. Thanks a lot for all the support and guidance from entire T&P team.. I had a great experience with the T&P Dept. at Bits Edu. Campus they helped us to learn technical as well as communicational skills that are needed the most to crack any of the interviews. 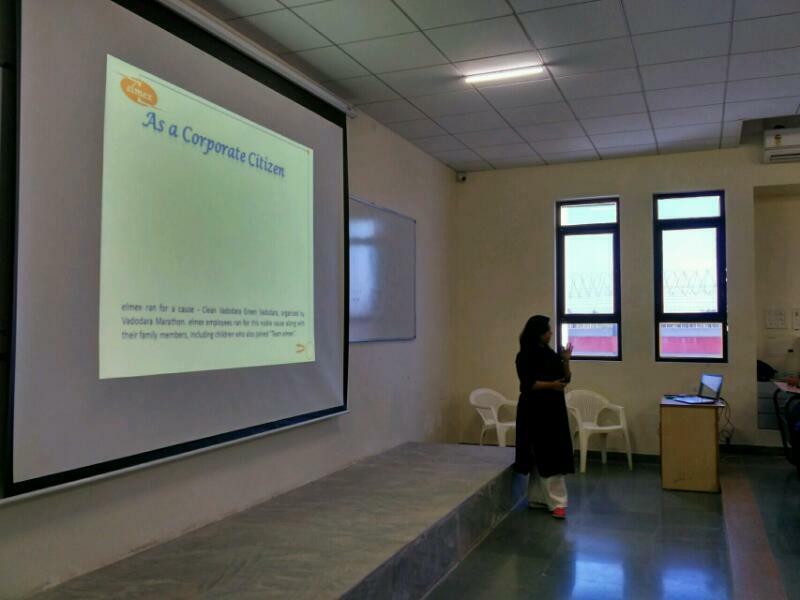 They introduced us to corporate world, how it works what are the things that a corporate expects from a student and specially the aptitude and mock interviews really helped us building the confidence. Heartily thanks to Head – T&P Cell and the whole T&P Team for guiding and helping us at every stage of life for a better tomorrow. Placed in Sterlite Technologies Pvt. Ltd.
Training & Placement Department continuously providing assistance regarding the placements. It is indeed beyond the boundaries. Our Potentials are harnessed, skills are developed, confidence is built and dreams are realized. It was a wonderful experience with Training & Placement Cell. Placed in Cosmo Films Ltd. 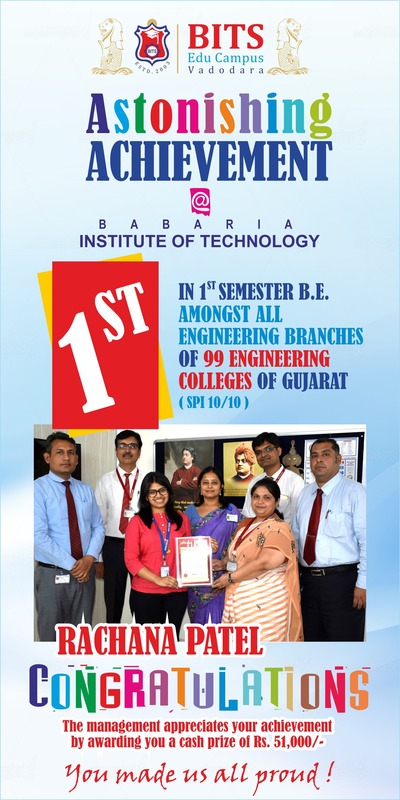 I am immensely thankful to Babaria Institute of Technology for such an amazing academics and quality teaching staff where students can freely talk with faculty that helps to create an excellent learning environment. 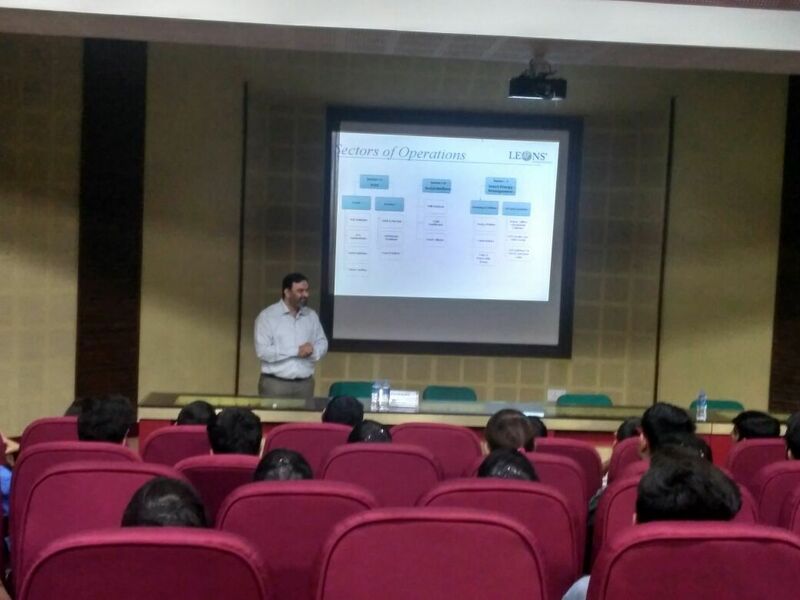 Talking about Placement Cell, Head – T&P along with Team lead from the front and many reputed companies where brought to the Campus. My experience in college has given me numerous chances to sharpen my skills and grow high in the field of my choice. It has also enriched my life in many ways. It has provided me with the necessary tools to enhance my skills, provided me with valuable knowledge about this diverse world, people and concepts in general and eventually will enable me to hopefully become successful in life. Also our training and placement cell has always helped us in selecting the right path for a better future and has supported us to overcome the obstacles in the way of achievements. Placed in Anchor Electricals Pvt. Ltd.
“CAMPUS PLACEMENT”- all my life I have heard about it, dreamt of it, cried for it, needed it, but with BITs Edu Campus, I found it. I am deeply grateful to my all teachers and the T&P department members for working so hard for us and making sure we get a fair deal of opportunities. The experience with T&P was really nice. I got to learn about interview processes and practiced Group Discussions. 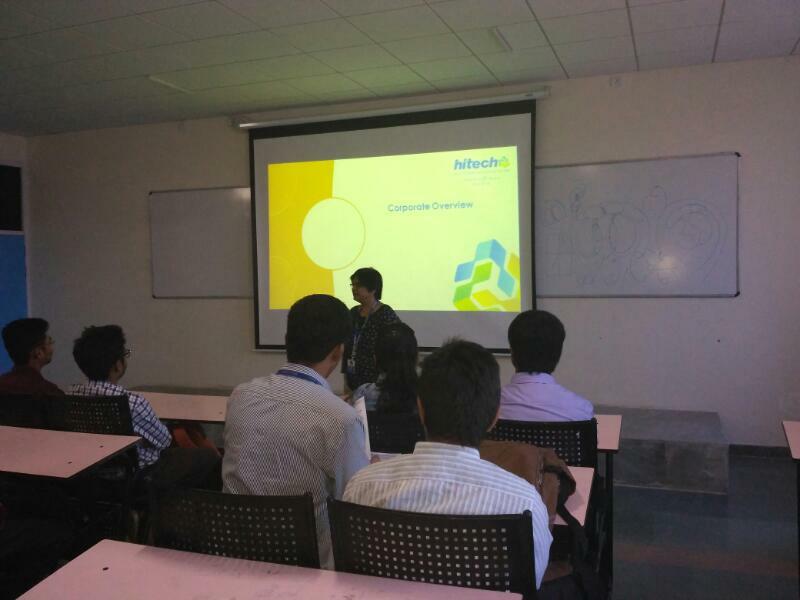 The mock interview with faculties proved to be key factor for my placement at Hi-Tech iSolutions because it boosts my confidence a lot. Proactive placement cells at BITS have helped me to improve my skills, confidence & professional etiquettes. I got all the support & guidance from placement officers & faculties. Training programs offered by placement cell of BITS helped me to secure my placement. For every success there is one person who is responsible for that in everyone’s life. I think that person who is responsible for starting of my career is our TPO. She guided me and corrects me whenever I was wrong. She always told that you have to keep trying for achieve something and without her guidance I never reached to this platform. 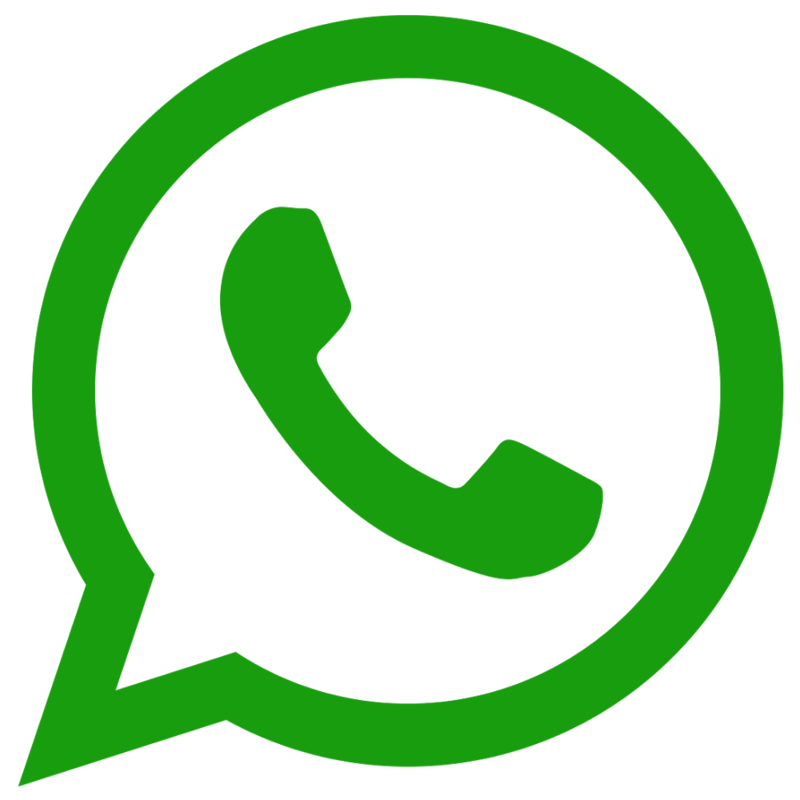 Placed in Galaxy Sivtek Pvt. Ltd. BITS Edu Campus has organized CONTRIBUTOR PERSONALITY program twice for Training for The Trainer for Gujarat Technological University. 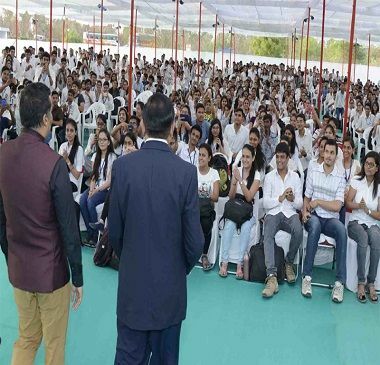 The Institute had hosted and conducted TRAINING PROGRAM at regional level, GUJARAT TECHNOLOGICAL UNIVERSITY, for Training & Placement Officers to work efficiently and with various strategies for better outcome at TNP cell. There were 80 participants attended the workshop. At Gujarat Technological University, I-TAP (Integrated Training & Placement) is formed. BITS Edu Campus is in core committee. 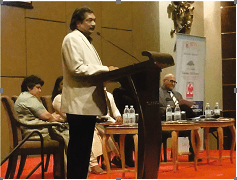 VIBRANT VCCI-2013, there were two mega events i.e. 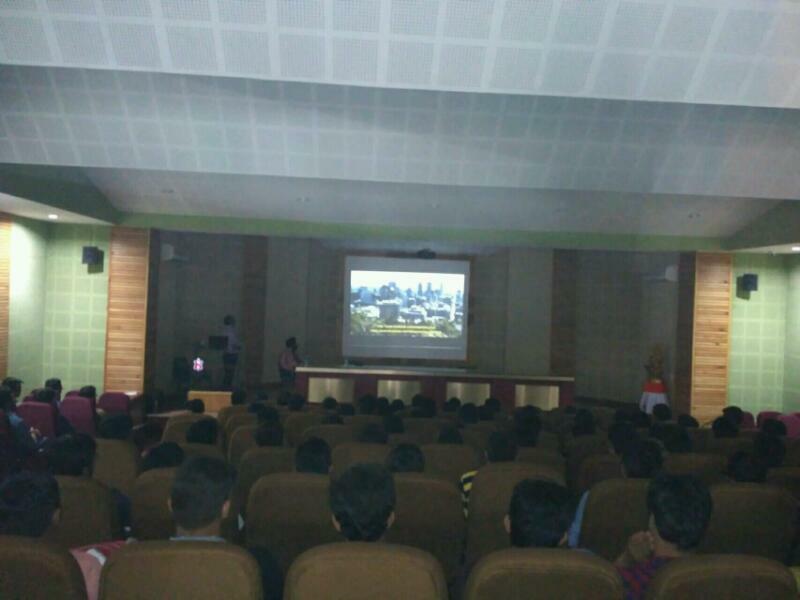 i-Explore and i-Create, which were coordinated single handedly by the students. It was three days program around 3000 to 5000 students from Schools to Colleges have participated. 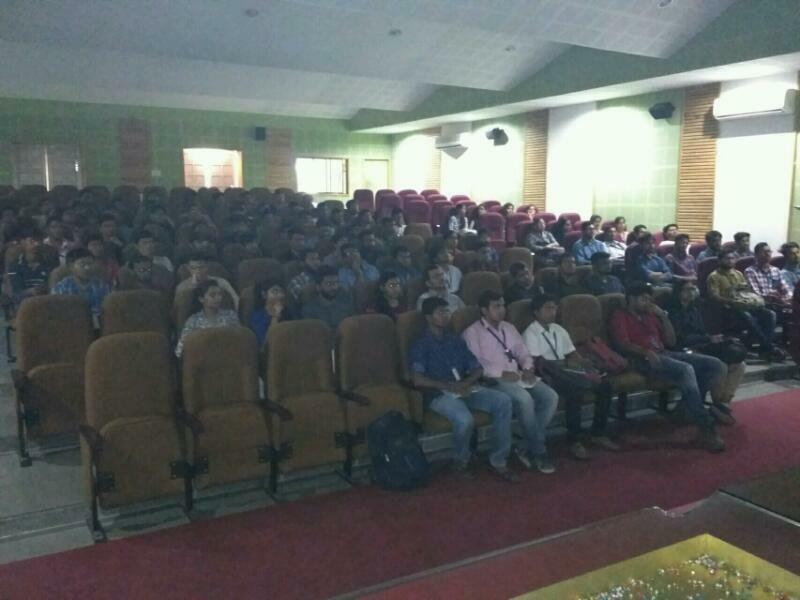 Right from scheduling the events, up to the prize distribution, the entire event was co-ordinated by the students from BITS Edu Campus..
Two days learning workshop for 108 workmen of BOMBARDIER TRANSPORTATION Ltd. was conducted by the faculty, Electrical Engineering Department. Bridging the Gap between Industry and AcademiaUnderstand the need of the Industry in today’s technological era Prepare and make students Industry ready. Discussing the challenges faced by the HRs during Recruitment Process Understand the benefits of organization in terms of getting skilled and trained manpower. Nearly 200 HRs from different companies participated in the event e.g. Linde Engineering Pvt. Ltd., Yogin Emotional Intelligence, Xylem Inc., FAG Schaffer, Banco Products, Rishabh Software, Sterling Biotech, GIPCL, Neptune Realty, ITT, Anwesha Engineering & Projects, SFW Bearings etc. 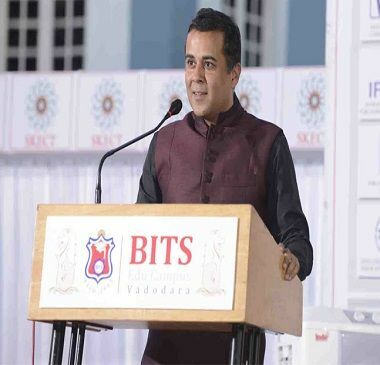 “Success means Exceeding Aukat” said by Mr. ChetanBhagat, a celebrated Author, Motivational Speaker and Screenwriter in the Industry – Academia Meet. With an aim to link Technical Education with Industry. Almost 450 Industrialists participated to make it a Grand Show.